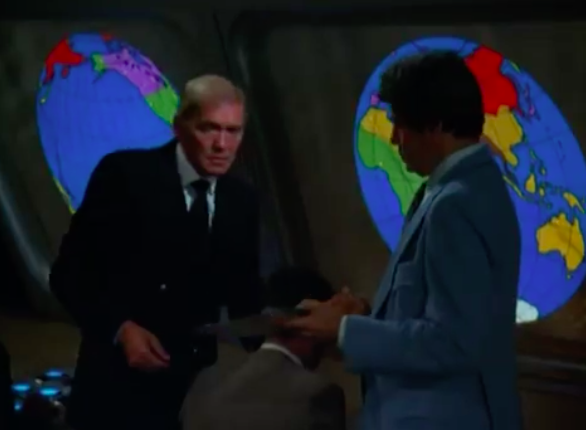 What if the catastrophic events of Westworld (1973) and its sequel Futureworld (1976) were not the result of one company’s hubris, mismanagement, or ill intention but rather the beginnings of the schemes of one man with a larger plan in mind? That’s the premise behind Beyond Westworld, the short-lived 1980 television series based on the hugely successful film. And, I guess, also based on the hugely unsuccessful sequel. 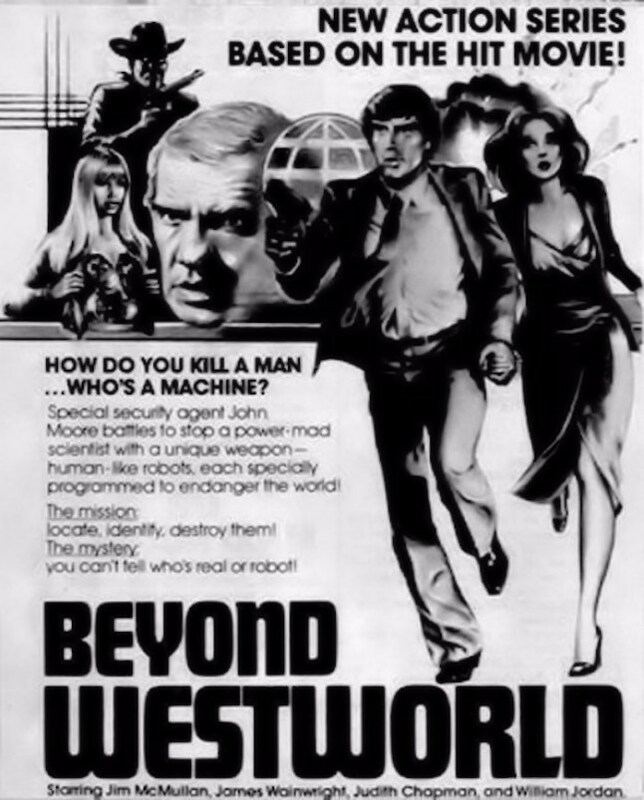 Beyond Westworld follows John Moore, the head of Delos security, as he thwarts rogue ex-Delos scientist Simon Quaid’s attempts to unleash his special brand of psychotic robots upon the world. He’s assigned a beautiful partner – of course – named Pamela Williams, and together they work to keep safe a world on the brink of an android holocaust. Its a pretty great premise, right? Unfortunately, it comes out pretty flat. Only five episodes were produced, two of which weren’t even aired before cancellation. The plot lines are pretty mundane, especially given the license the show had to literally do anything they wanted in a world filled with murderous androids who could look like just anybody on the street. Still, the premise and the tie-in to Westworld warrant a look at the series. The look of the show, of the sets and costumes, is fantastic – it was even nominated for an Emmy in Art Direction – but, like the Logan’s Run series, fails to deliver on a fantastic what-if. For whatever reason it’s difficult to find episodes online; perhaps the powers that be envision a world in which there is only one Westworld television series in existence, and if that is the case I’m glad that the one we have is the one we have. Here’s some of the promo material for the 1980 series, though – there’s definitely some charm here. In the “this show could never exist in this form today” department, here’s Pappyland. Pappyland is what you’d get if an inferior version of Pee-Wee’s Playhouse married an inferior version of The Secret City and had a child. 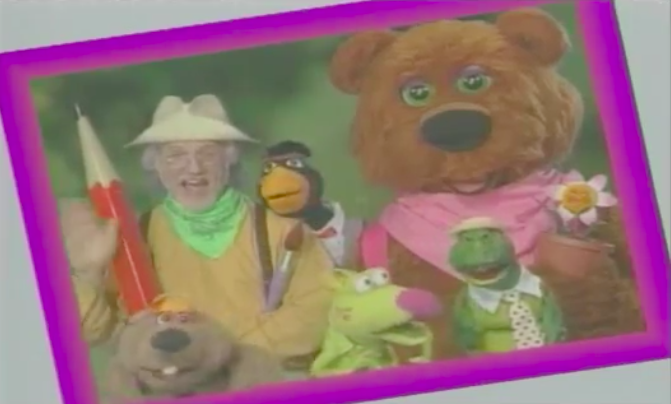 The show, which premiered in 1993 on New York Public Television Station WCNY-TV, focuses on Pappy Drew-It (that’s right) and his magical friends. 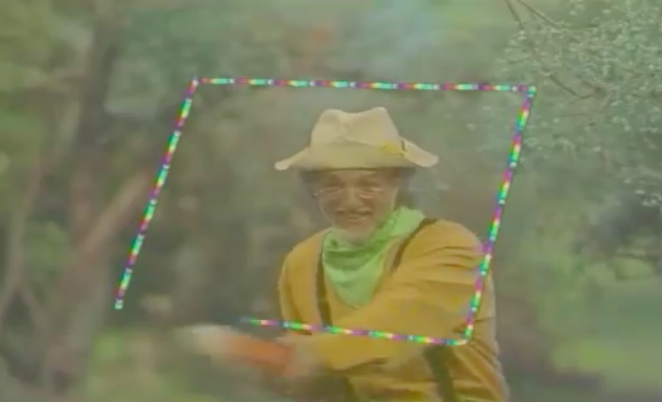 They hang out in a magical cabin, draw pictures, and go on bluescreen adventures. None of this is inherently bad – except that it is. The drawing itself is pretty good and it’s clear that the whole show is a labor of love but everything just kind of comes off as half-baked and thrown together. Which would sort of be fine, but it’s clear that it wasn’t half baked or thrown together! Also, am I the only one creeped out? Here’s an episode. Feel differently? Do you have fond memories of this show? Let me know! The gross-out version of the Easy-Bake Oven. 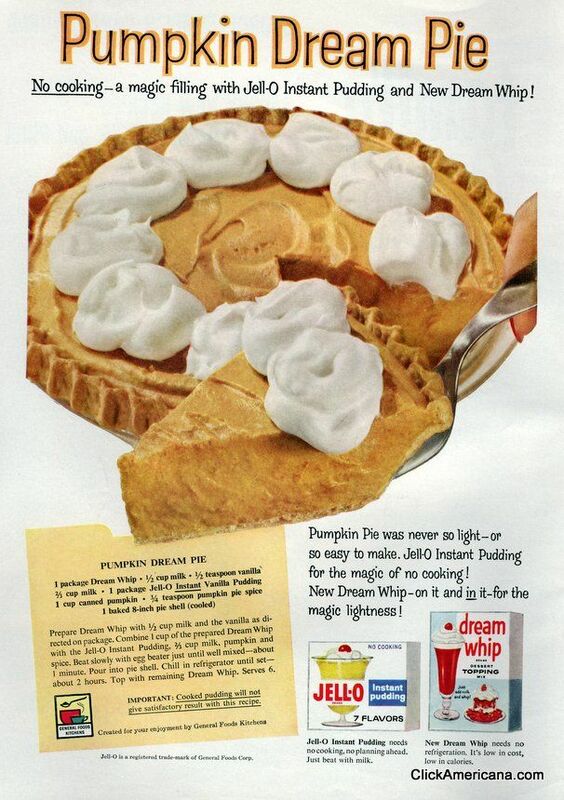 This 1959 recipe from Jell-O’s got my interest – from a design and a flavor perspective. Because it’s beautiful. Here’s Stephane Grapelli playing “How High The Moon” in 1991.